We are in week 3 of summer vacation and the dreaded Summertime Slide is under way. The Brandriss family limped across the finish line at the end of the school year, and sometime in early June, between meetings, soccer games, end-of-school-year activities, and work, we checked out. Admittedly, the first two weeks of summer break were worry-free; our son was off to day camp in the mornings, toys and clothes were strewn about the house, and dinners went late into the evenings, making reading time obsolete and causing irregular (and late) bedtimes. Have you ever noticed how much you can get done when you’re busy, but how little gets accomplished when you have a lot of time on your hands? You may not be able to do everything on your wish list, but you’ll have a better chance if it’s on the calendar. Here’s a hint: Make sure to schedule free days; I find that they’re essential in order to recharge. Now that the framework of your schedule is done, you can fill in the details—and the fun stuff! 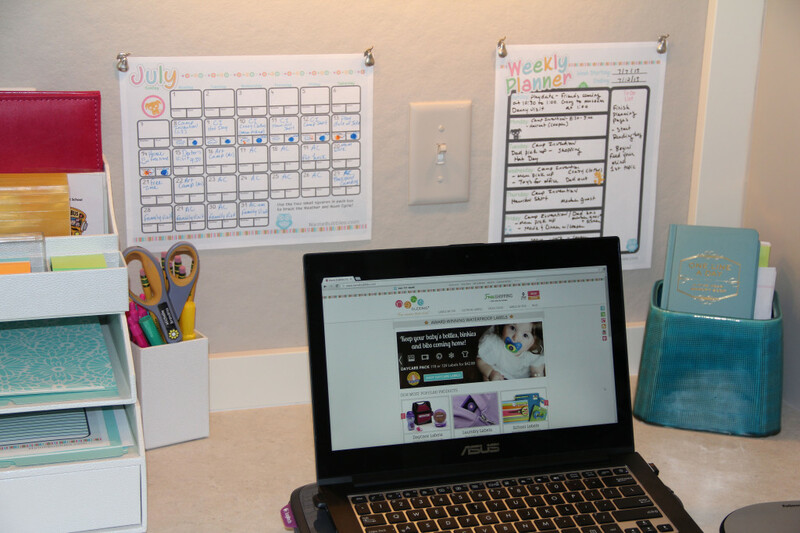 Some families will want a weekly planner for each child, depending on their schedule and number of activities. We only need one planner, which we fill in each weekend as we schedule the following week. This is meant to be a fun and flexible exercise, and will provide reminders to you and your family of your summer plans. Cooper is old enough that the morning and evening routines don’t need to be posted. Unfortunately, making his bed and picking up toys or dirty laundry haven’t yet become part of his routine. I encourage him to color and decorate his sheet of daily chores; once those tasks becomes habits, the Daily Chores sheet will be changed, and more responsibility given. An important element that we’ve included along with the Daily Chores is one hour of daily screen time during the week, with two hours daily during the weekend. Cooper is able to choose how he splits his time between video games, the computer, and TV. We started enforcing this rule at the beginning of the year and are so pleased with the results. Though it was tough at first, he will often play with his toys or start an art project rather than turning on the TV. Choose from one of our Daily Chores charts. I wanted to mix it up a bit and give Cooper the opportunity to think and ask questions about any topic. Starting next week, camp will only be during the morning hours, we have the entire afternoon to fill. Some of this will be fun playtime, but I’m hoping that he and my husband will spend some time on creative ideas or science projects. Each day, Cooper will do 20 minutes of math facts, completing the snack time section of the menu. The other sections prompt him to ask questions during breakfast, lunch, and dinner. I am hoping that each weekly menu can revolve around a selected topic and planned project throughout the week. It’s an ambitious goal, but if we keep it fun, I think we’ll all enjoy a little food for thought—always a great item for any menu. 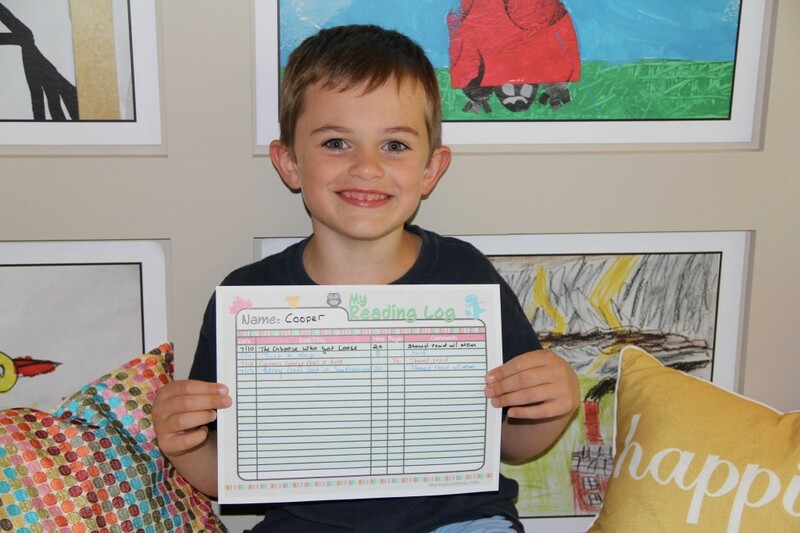 A carryover from first grade, the Reading Log has become part of our routine, one that I foresee being valuable for years to come. We track reading by minutes, whether it’s me or my husband reading to Cooper before bed or him reading on his own. This is the time of the day that I’ve really come to enjoy. He unwinds, settles down, and will often tell me how his day was without distraction. What tips do you have for parents trying to avoid the Summer Slide? Share what you’d found helpful in the comments section below!